Candles are lit for prayer intentions. To “light a candle for someone” indicates one’s intention to say a prayer for another person, and the candle symbolizes that prayer. 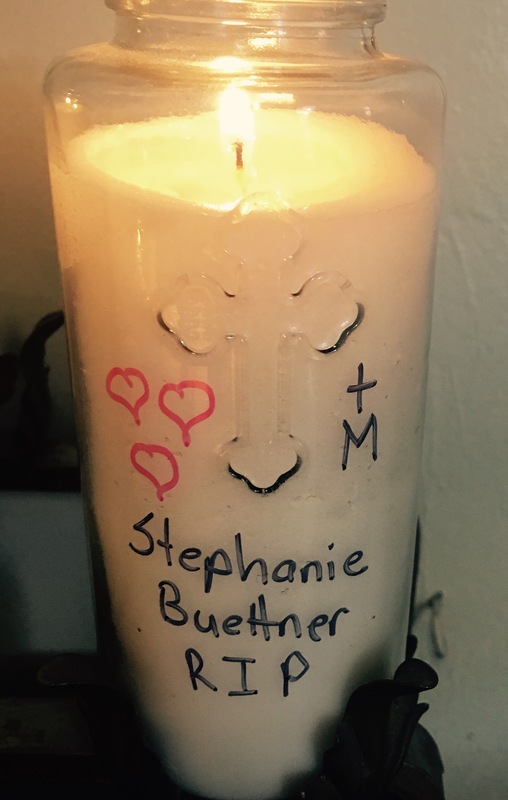 Please private message me or comment below to request your loved ones be added to Prayers for our Dearly Departed. Maria Glena Gonzales December 29, 1972 – September 11, 2017 Entered into rest, peacefully on September 11, 2017, surrounded by her loving family, after a two-year bout with cancer. Glena’s faith was more important to her than anything, and she lived for God. She brought joy and life to all whom she met. Beloved wife of Daniel Schutz, cherished daughter of Glinda Enorme, and the late Nestor Enorme. Loving sister of Jonalyn Enorme, Liza Enorme and Fr. Junar Enorme. A native of the Philippines, Glena lived in Santa Rosa since 2005. Glena was an active member of St. Eugene’s Parish and of Christ the King, People of Praise Prayer Group in Rohnert Park, and ran two elder care homes in Santa Rosa with her husband. She was deeply loved and will be sorely missed. 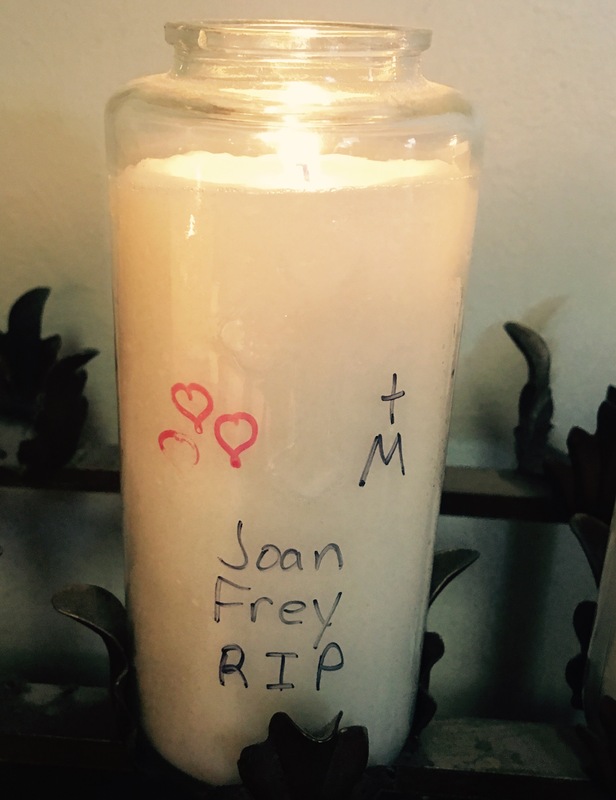 FREY, Joan Joan M. Frey, age 79, passed away in Santa Rosa on March 2, 2017. She was born in San Francisco in 1937, the daughter of Romeo and Lillian Sartori. She is survived by her husband and elementary school sweetheart, John Frey; four children, Julie (Rodger) Davis, Donald (Tina) Frey, Linda (Rich Gravelle) Camilli, and John (Kim) Frey, Jr.; grandchildren, Sarah (George) Raymond, Ashley (Shamim) Formoso, Donald Frey, Jr., Tawnie Frey, Theresa Frey, Kayla Camilli, and Seth Camilli; great-grandchildren, Emma Raymond, Patrick Raymond, and Theo Formoso. Joan was a great mother who loved to spend time with her family. She was caring and compassionate to everyone. Always with a smile, she was adored by all who knew her. Joan loved working in the yard. She was an amazing artist, and enjoyed selling her crafts at local farmers markets. CRAIG, Wilson (Wil) 85, of Santa Rosa, CA, passed away on January 7, 2016. Born in 1931 in Detroit, MI to Emma Julianne Rauch and Jay Wilson Craig, he spent most of his youth in Texas. In 1950 he enlisted in the U.S. Navy and, following honorable discharge in 1954, he attended Santa Rosa Junior College, graduating in 1956. In 1958 he received his Bachelor’s degree from UC Berkeley, receiving his teaching credential the following year. He went on to complete a Master’s degree at Sonoma State University in 1971. For 27 years Wil taught History, English, and French at Petaluma High School. He retired in 1986, but continued to teach foreign language immersion courses at SRJC. In 1958 he met and married Ruth Parle Godkin, also an instructor at SRJC. They were married for 30 years before she preceded him in death in 1988. Wil is survived by brothers, Douglas Craig and Gordon Craig; nephew, Kevin (Melissa) Craig; and nieces, Megan Craig, Christine Craig, and Leslie Fletcher. Wil was a beloved teacher, avid traveler, generous philanthropist, and cherished friend. NISPEROS-SMALLCOMB, Doris Marie Entered into God’s care February 23, 2005 in Sebastopol at the age of 81. She was born, raised, and educated in Mer Rouge, Louisiana and moved to Sonoma County in 1979. Marie was a member of NARFE (Naval Air Retired Federal Employees) and the Womens Guild of St. Philip’s Church in Occidental. She enjoyed wearing hats, raising animals, was a master gardener and was the owner of “Cactus Forest Nursery” in Occidental. Marie is survived by 6 children, Ernst Edwin Nisperos, Elaine Brovont, Ladislao C. Nisperos, Jr., Loretta Hawk, Christopher Nisperos, and Nancy Topf-Font, step-daughter Paula Floyd, 18 grandchildren, 10 great-grandchildren. A Rosary will be held Sunday, February 27 at 6:00 p.m. and a Funeral Mass will be held Monday, February 28, 2005 at 1:00 p.m., at St. Philip the Apostle Church, Bohemian Hwy., Occidental. Burial to follow at the Pleasant Hills Memorial Park, 1700 Pleasant Hill Rd. Sebastopol, CA. Arrangements by Pleasant Hills Memorial Park & Mortuary.